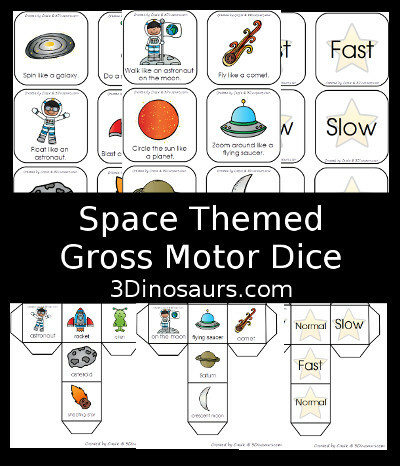 These printables were made to give you something fun gross motor activities with a winter theme. The activities in these printables are to be done under adult supervision. These printables are only ideas and not a replacement for a Physical Education program. Please only do activities at your child's current physical activity level. You know your child's activity level best. 3 Dinosaurs is not responsible for any injuries that may occur while using these ideas. Click here to see how we used the dice. 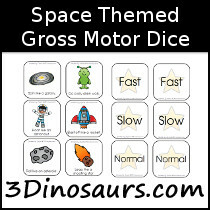 Click here to see more gross motor printables. Gross Motor Products I love and use! We use these cube dice for the cube cut outs.